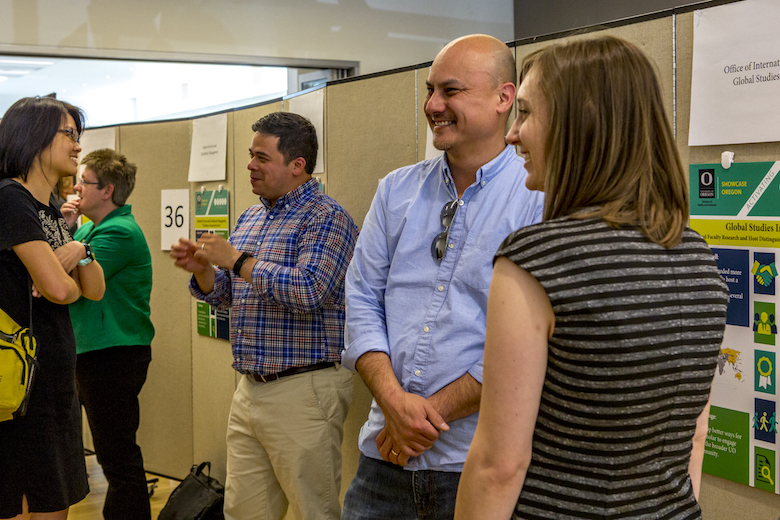 A poster gallery, workshops and an award presentation attracted nearly 300 members from across campus and the community to Showcase Oregon: Activating the IDEAL Framework on June 5. 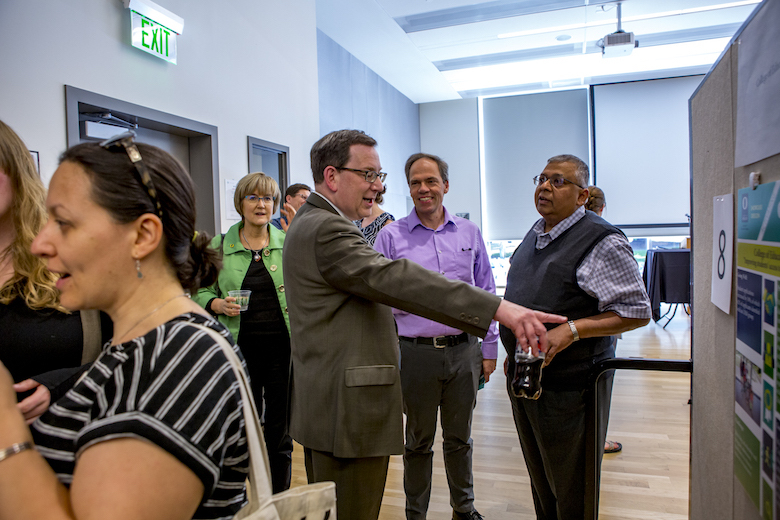 The afternoon kicked off with an official welcome from UO President Michael Schill, who focused on the significance of diversity at the UO now and in the future. “Diversity and inclusion is vitally important at our university,” he said. “We must make it a continued, focused priority every day,” he said. Throughout the day, hundreds of attendees viewed more than 40 posters in the gallery. 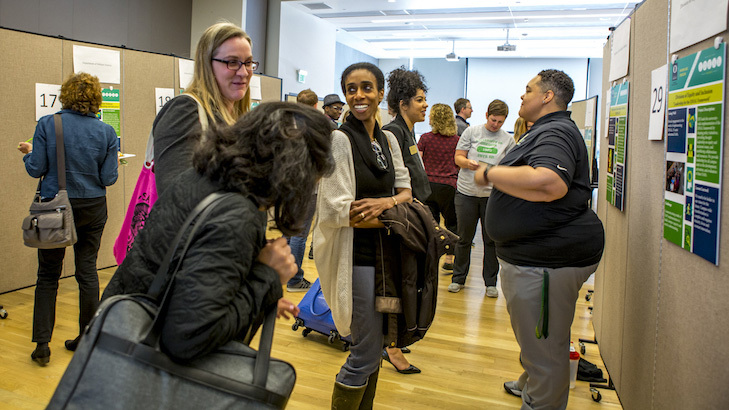 Each poster was dedicated to an individual initiative from a school or unit’s Diversity Action Plan or from one of the work groups that focus on equity and inclusion issues common across UO units and schools. Representatives stood by their posters and spoke with people about their projects, answered questions and fostered relationships and collaborations. Many created time for follow-up conversation, work and potential partnerships. Those visiting the poster gallery voted for four awards presented at the end of the day by Provost Jayneth Banavar. The UO Libraries received the “It’s Not All a Bed of Roses” award for the unit most honest about challenges; the Department of Human Physiology received the “Thought Leaders” award for the unit best incorporating research and best practices; the Department of Linguistics received the “Most Innovative” award for the unit demonstrating the most innovative approach to work; and the Department of Philosophy received the “Brevity” award for the unit demonstrating the most by saying the least. Concurrent “DAP-talks” happened throughout the afternoon with 437 session sign-ins. 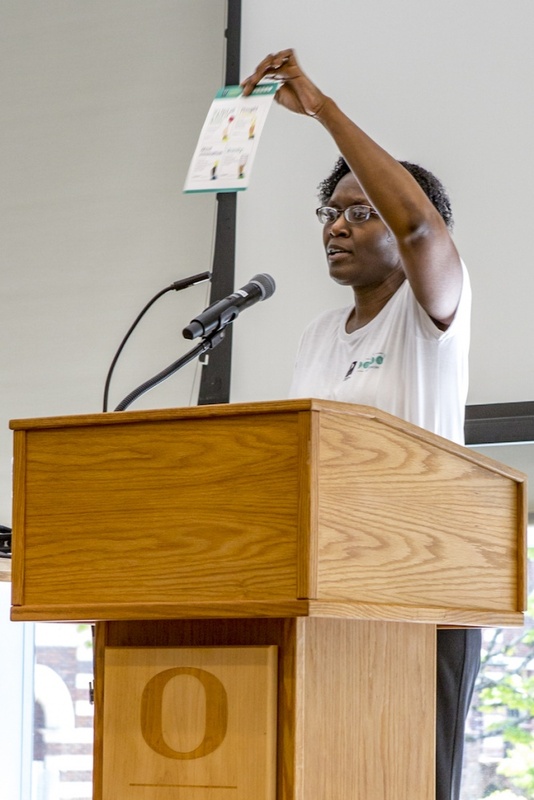 DAP-talks provided expert presentations and time for questions and group discussion on issues such as implicit bias, climate surveys, onboarding, inclusive excellence in graduate education, gender inequity, student issues and strategy groups. 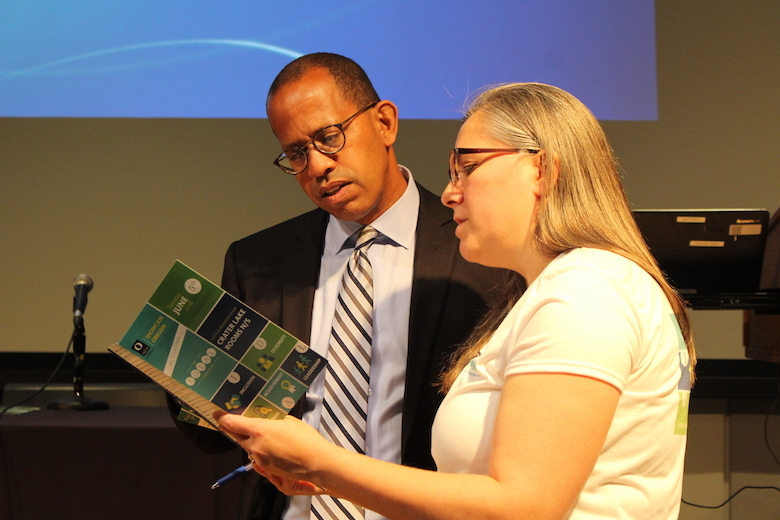 The talks offered opportunities to initiate and support collaborations across campus and between communities. Will Hatchet, an academic advisor and member of the Black Strategies Group, and Joann Zhang, a multicultural academic advisor, Asian and Pacific Islander retention specialist and member of the Asian, Desi and Pacific-Islander Strategies Group, were two of the panelists on the strategy groups DAP-talk. 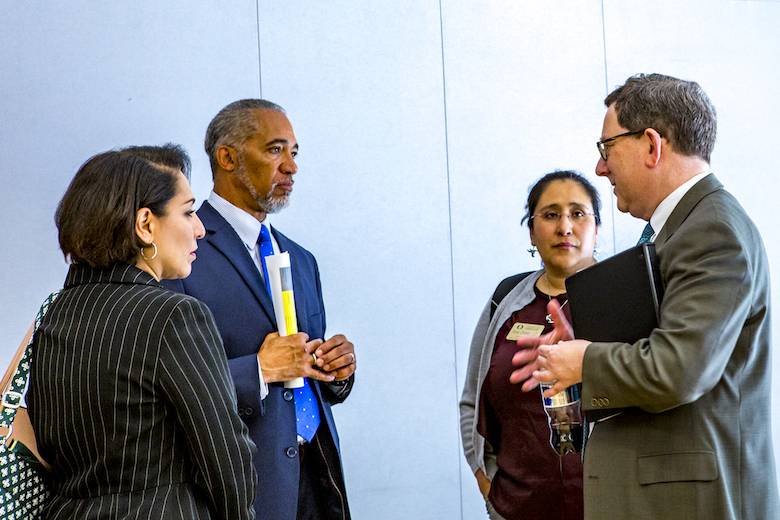 Strategy or working groups are alliances that can include faculty, staff, students and community members from traditionally underrepresented groups who volunteer personal time and energy to support the university in being a more welcoming place. The Native American strategy group was the original strategy group. 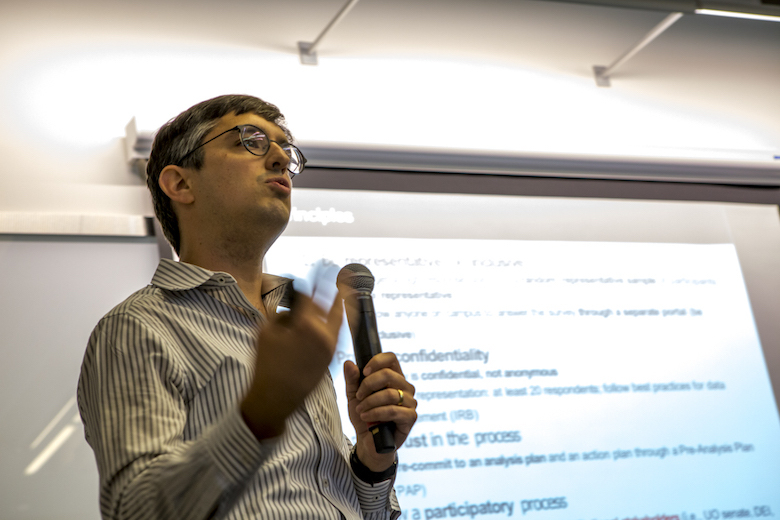 “It was great to talk about the work each of our strategy groups are doing. While each of our communities has specific needs, some of the work we are doing is parallel in many ways,” Zhang said. She and Hatchet are planning to connect in the future to see the ways in which their groups can work together. “We can really strengthen our impact by working on common issues,” she said. 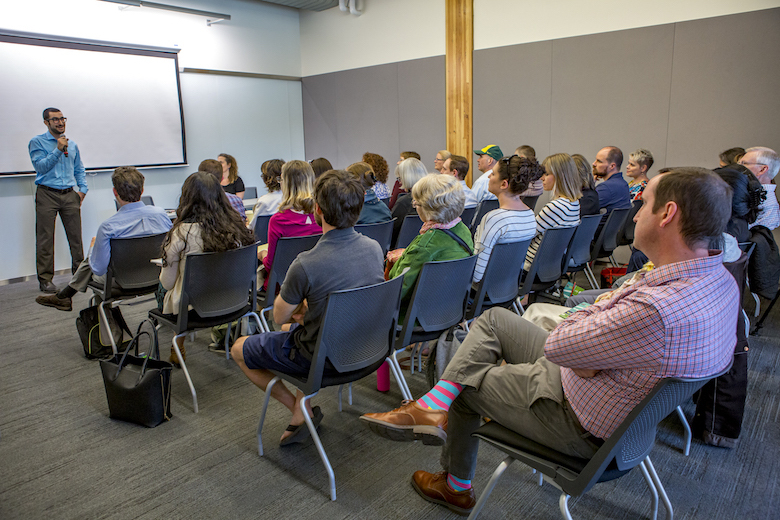 Two student-focused DAP-talks, as well as tours of the Multicultural Center, provided opportunities for faculty and staff members to learn more about the equity work that students are engaged in. 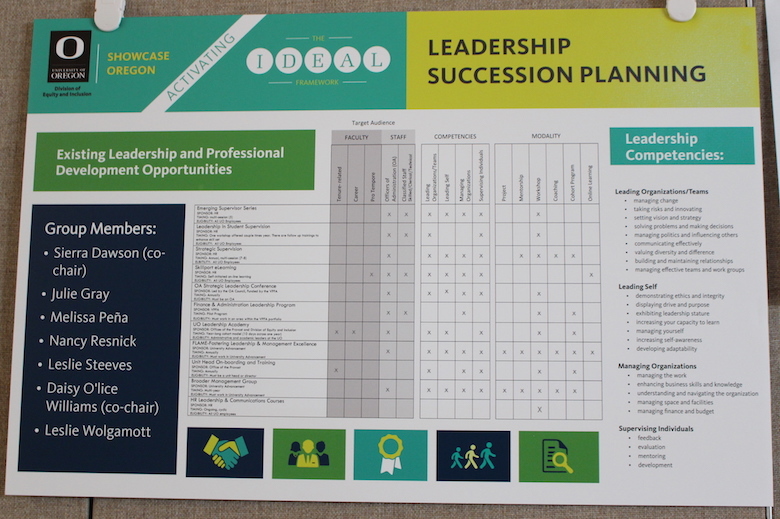 The elected officers of the 2018-19 Associated Students of the University of Oregon presented issues of importance to students, including economic issues such as food insecurity, tuition costs and the importance of actively listening to student voices and concerns. Prior to the Showcase Oregon afternoon public event, a luncheon for invited campus and community members featured a “Promising Practices Panel” with Douglas Haynes, vice provost of academic equity, diversity and inclusion at University of California, Irvine, and Christina Samir James and Dante James of the Gemini Group. The three also spoke at DAP-talks and consulted with poster representatives about their initiatives throughout the day. Panelists addressed multiple issues of best practices for equity and inclusion, including the importance of metrics and outcomes. 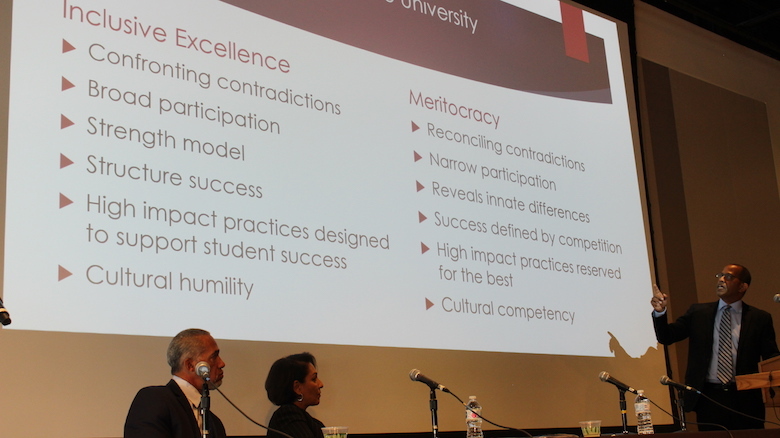 Haynes provided a list comparing an inclusive excellence vision versus a vision of meritocracy for the university. 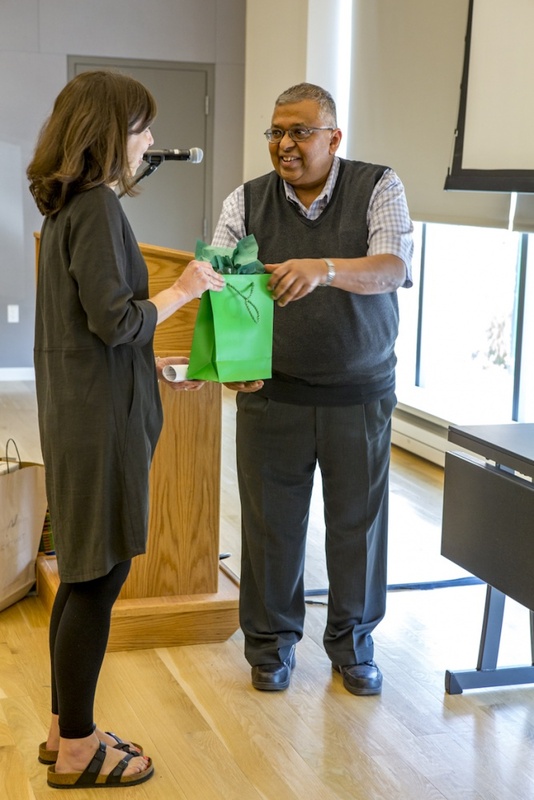 His comparison of the meritocracy concept of “cultural competency” and the inclusive excellence concept of “cultural humility” sparked conversation between panelists, who added the need for “cultural consciousness.” Christina Samir James addressed why people do this work. Dante James added that to achieve inclusive excellence people need to expect equity, support diversity and practice inclusion. 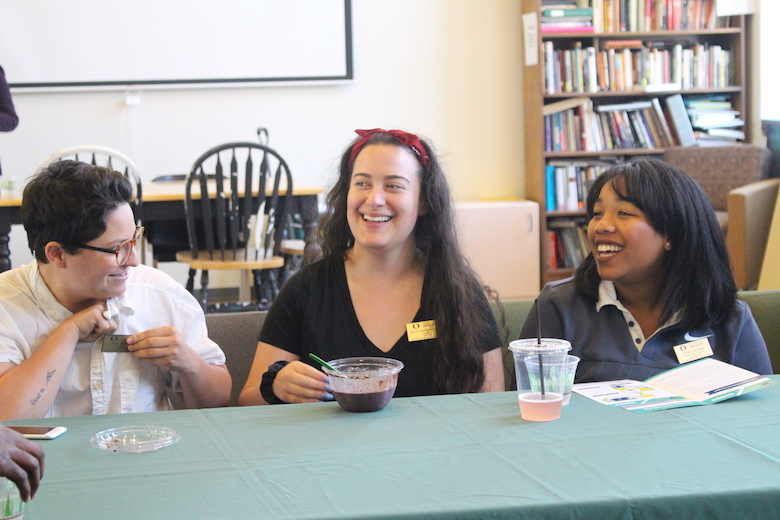 Vice President for Equity and Inclusion Yvette Alex-Assensoh said Showcase Oregon’s positive energy and excitement about the work was palpable. The “Promising Practices Panel” and a number of DAP-talks were recorded for future use. These recordings, photographs of the event and a gallery of posters will be available soon on the Division of Equity and Inclusion website.